If you have not visited Kashmir in a long time, or ever, you need to go for a medical checkup. Is the media frenzied coverage scaring you? Wife, mother, and social worker Joycia Thorat has just returned from (sorry Kerala) what has to be in reality, God’s own country, and this is her honest report. Kashmir loves me and I love Kashmir. This is true of all whom I met and all who met me on my nascent visit to Badgam and Bamarulla District. Kashmir is a paradise of love. As a mother of two young children my initial reaction to the Kashmir assignment was ‘what if …?'. At the same time I wanted to grab the opportunity to explore the ‘unsafe’ Kashmir. I brought up the topic more than once with my spouse to get his view, who answered in affirmative. This doubled my courage to undertake the ‘risk’. Born and brought up in Kanyakumari, living in Mumbai, having travelled extensively across rural India and globe on development & advocacy work, Kashmir is the destination for a justice & peace activist. In addition, the fascination about the Switzerland of India - a land like no other, the mystic, rustic and romantic beauty, also the forbidden due to the myths and images, was more alluring. Our host, Mr. Zahoor Shah, welcomed our team , a Hindu, a Catholic and myself with a warm hug and a sumptuous Kashmiri lunch. He then drove us to his home in Bamaruda village to meet his family, after which we were to settle in a hotel. 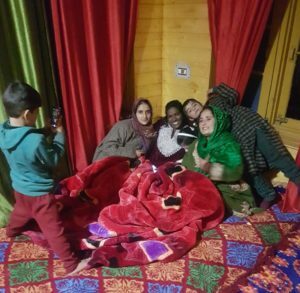 Mrs. Subhnam Shah & Mr. Zahoor and their kids Jamima , Arbaz, Farhad and Alifia aged 16 to 9 with their mirth, charm, and affection insisted we stay overnight. As evening turned into night we were like long lost siblings meeting after ages. The children sat around me the entire evening eager to connect and barter local information to know more about the outside world - Mumbai, India and the wide world, with a genuine interest. We shared stories & hobbies – we sang, danced, and laughed together. They expressed their love for Bollywood, Cricket & other sports, English language and computers. 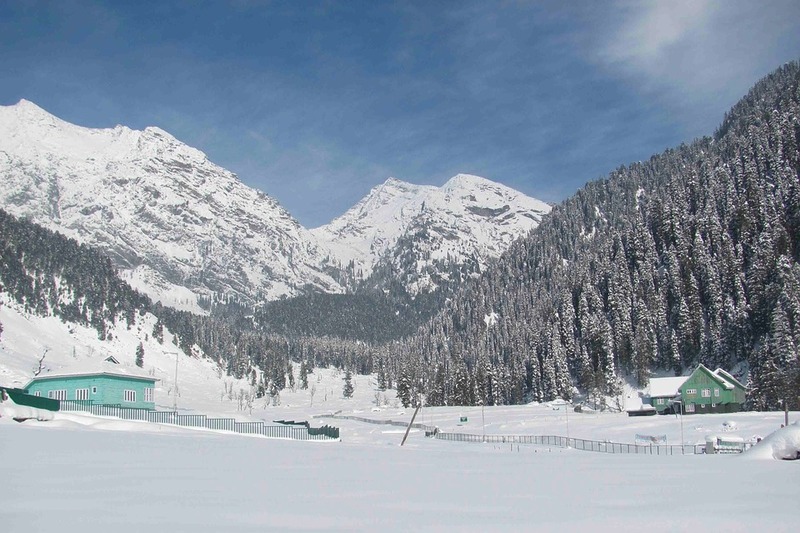 It beats me why I never ever considered Kashmir for a family holiday before this. Anyway, better late than never. I sat admiring the doting father, loving siblings and an engaged mother as in any Indian family in any Indian state. The children, mother, father, along with their extended family members, the uncles, aunts, cousins, shared the same bond as we do. They have the same dreams, aspirations, and expectations from life. Where was the ‘face of terror’ that the media constantly portray and propagate? - I scanned silently throughout my stay. As we continued our discussion into dinner, differences and doubts diminished and similarities emerged. We were one family. When I closed my eyes to pray for the food which is my regular practice, Mr. Zahoor suggested I pray first and then he would follow. The soft words expressed by both of us were similar. It was fusion & unison, communion & fellowship, giving thanks to the Almighty God - Allah - Yeshu - Ram . The prayer concluded by all of us pronouncing Amen together. October being beginning of winter, it was cold outside but the warmth within and among us was palpable. Short visit turned to a three-night stay until the assignment was complete. My follow up visit in November 2017 and stay at Utikoo village was alike. The family of Hajji, the highly respected business person in Tangmarg, Mr. Ashraf Mohd, his wife, children, mother, sister and brother-in-law, their teenage daughter Julie who helped in translation, friends and the entire village showered their affection on me as on a celebrity. Their admiration being, “You have come all the way from Mumbai to express your love for us.” My interaction with four local school principals, teachers, and students on programs for nurturing and augmenting Kashmiri children and youth evoked a similar response of mutual love and respect. Former US President Barack Obama on his recent visit to India on December 1st 2017 said, "Nurture and cultivate Muslims as they consider themselves Indians." Kashmir is the only state with the majority Muslim population. Let’s seize the opportunity to demonstrate we love and care. It will certainly pay dividends. 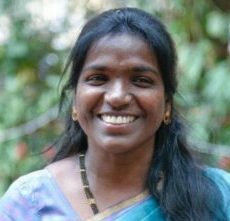 Dr. Joycia Thorat is the Project Officer & Policy Desk in charge of the Church's Auxiliary for Social Action, India. She is also the Co- Chair of the Advisory Group on Advocacy of Act Alliance a network of 140 International faith based organizations based in Geneva, working on Development, Humanitarian Assistance & Advocacy. An amazing read and a new insight. Would totally recommend bloggers to give this a try.